It’s considered to be the premier interactive event for digital leaders in travel, hospitality, and leisure that brings an impressive gathering of thought leaders across the hospitality industry offering valuable insight. 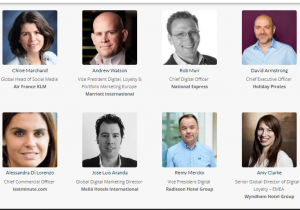 Digital Travel summit London 2018 is a 2-day conference Full of interactive and engaging content. It will take place from 26 – 27 of June 2018 in London, USA. 450 Digital Travel executives under one roof. 60 Thought-leading speakers from across the globe. 50 Presentations and Small Group Sessions. 2 Full days of interactive and engaging content. Helping you to better map out the customer journey. Enabling you personalizing your engagement. By delivering better cross-channel experiences for your customers, you’ll win the booking. Follow up the Digital Travel summit London 2018 updates here OR discover more Digital Marketing events, conferences & webinars in the UK here.